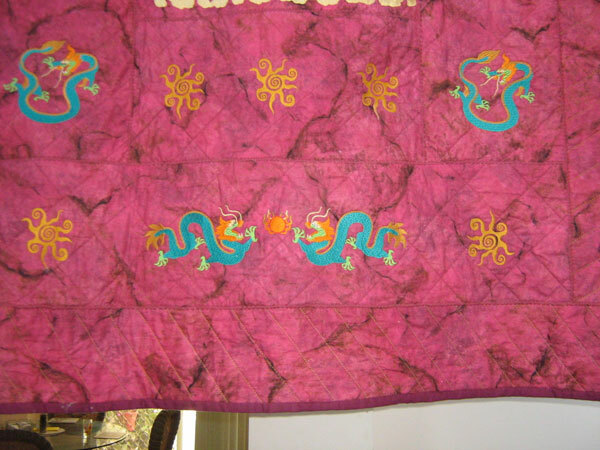 The quilt is 92 inches long X 52 inches wide. 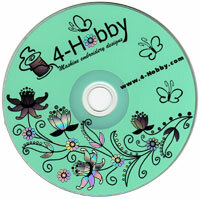 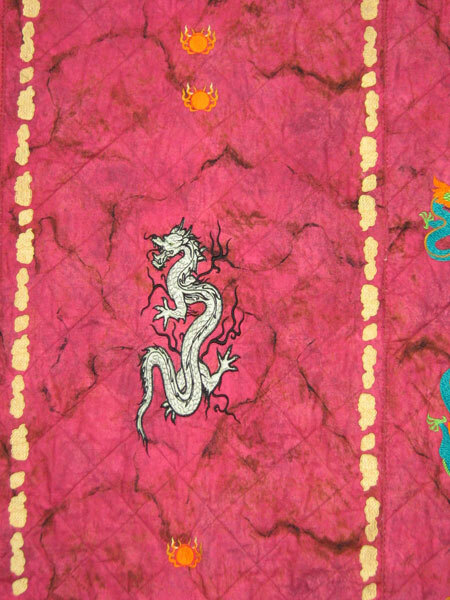 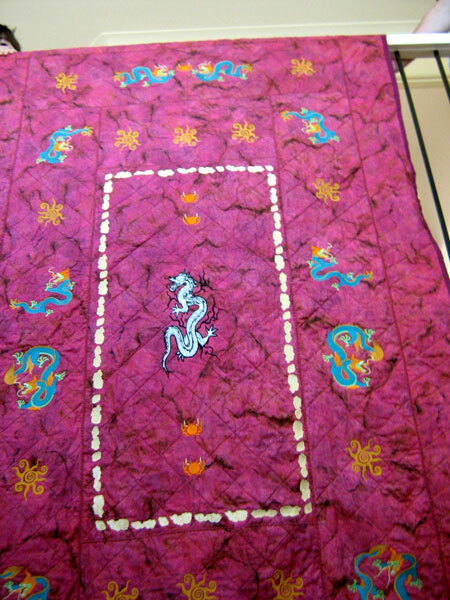 The design is ‘Chinese Dragons Machine embroidery designs Set’. 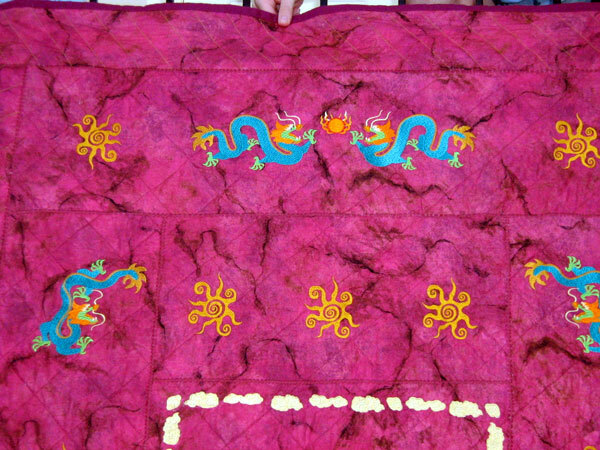 The set was designed to fit loosely over a grid layout of 10inch squares with a 6inch border. 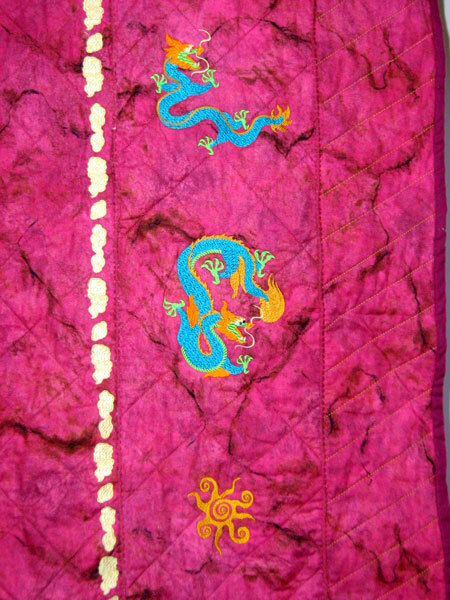 The dragons were finished with tiny crystal eyes.